Pretty often, you may need to integrate grid with chart, i.e. show grid's data and their changes on chart. 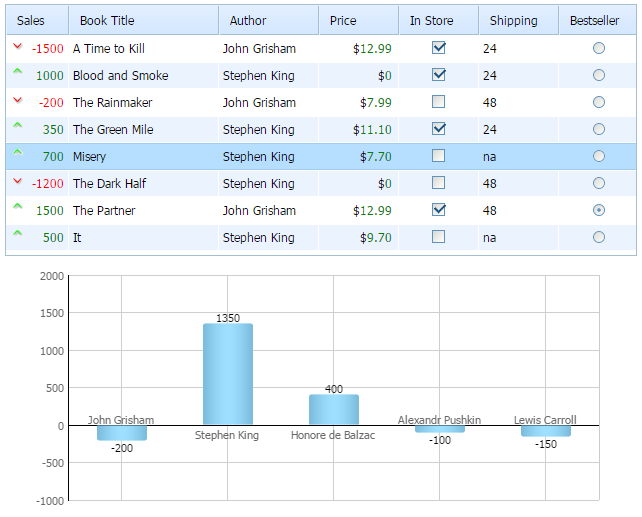 And this article we'll devote to grid-chart integration. And put everything into window.onload function to ensure that our code will be performed as soon as the page finishes loading. Step 3. Load data to the grid.